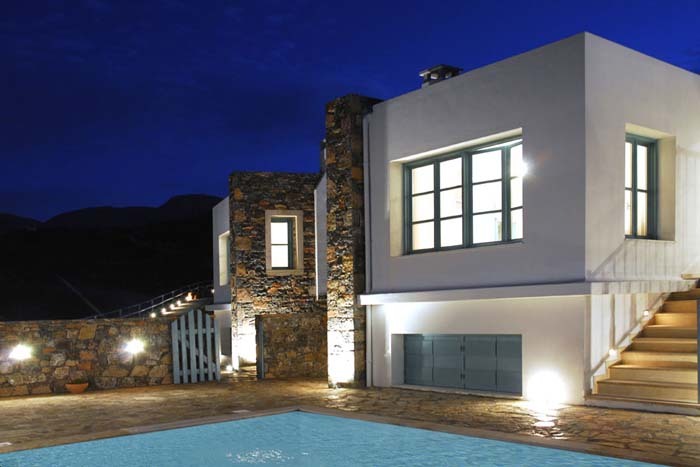 Villa Kalypso belongs in a small complex of three independent luxury villas, the Cretan Dream Villas, and is located between the towns of Agios Nikolaos and Sitia. The villa lies on one of the most amazing landscapes offering beautiful views of the surroundings, while it stands on a hillside. 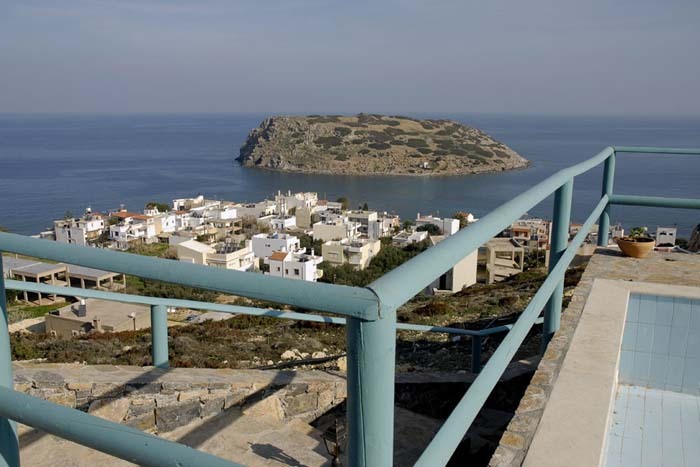 It offers panoramic views of the village of Mochlos, the sparkling waters of the Mirabello Gulf and the islet of Mochlos with its Minoan ruins. 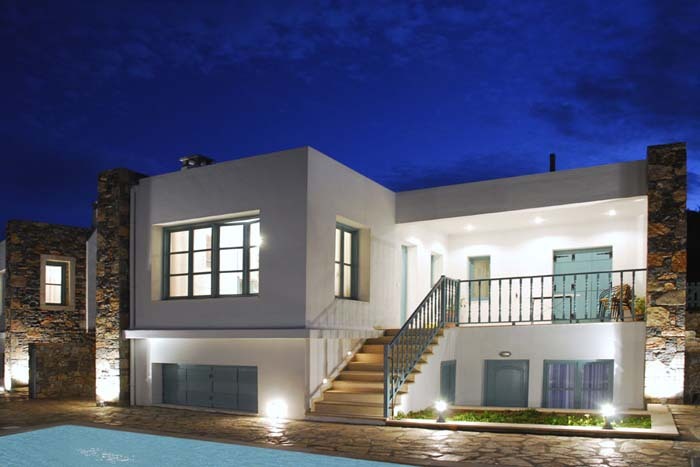 Villa Kalypso is independent and ensures privacy. 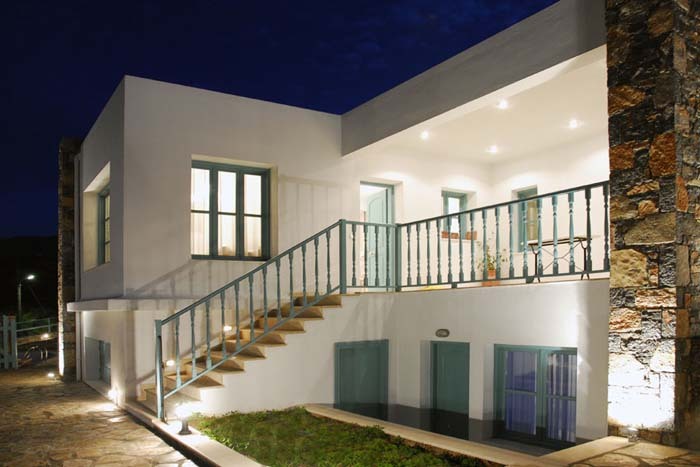 It has four bedroms, its own swimming pool, verandas, patios, greenery and parking space. The family hospitality, architecture of the villa, quality of service and peaceful environment make this villa and ideal choice for a relaxing holiday. 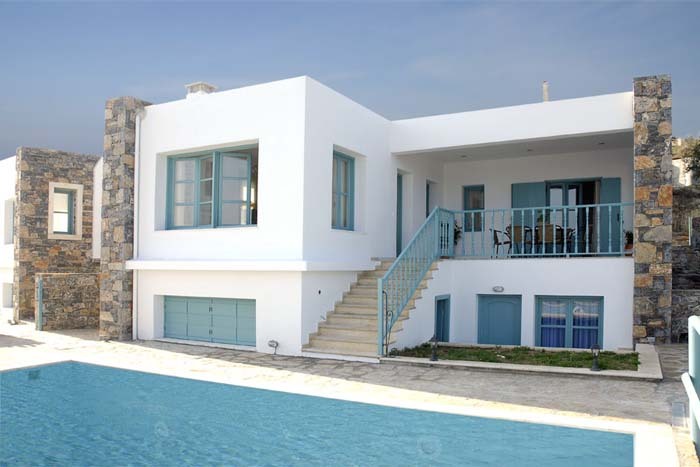 Villa Kalypso lies on two levels. 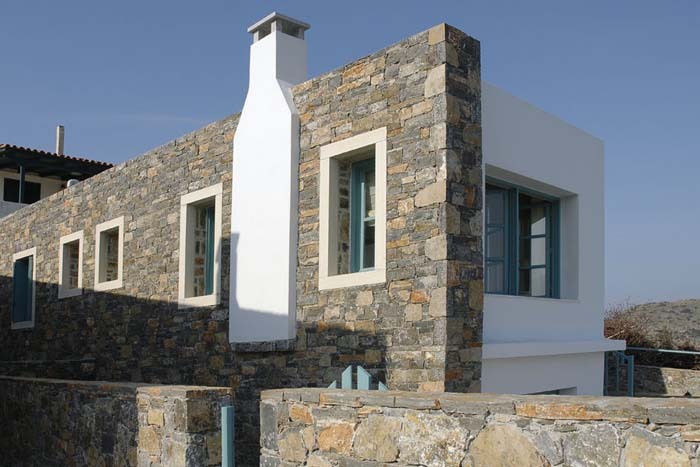 On the upper floor there is a spacious living room with a view of the sea, the islet of Mohlos and the beautiful landscape. 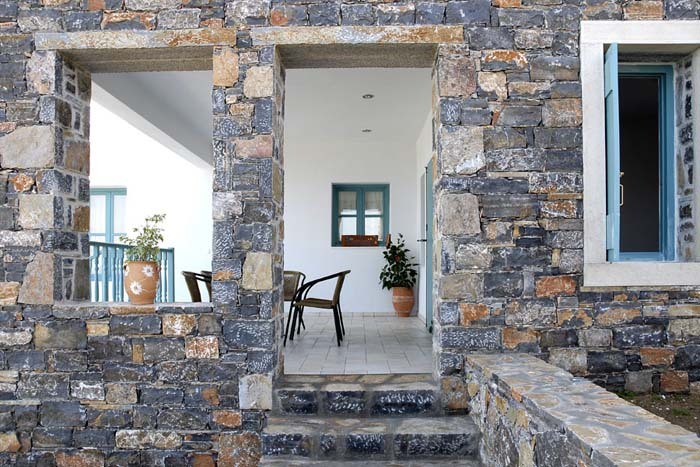 The sitting room is decorated with light colours and the furniture is inspired by the Cretan traditional style. At the south side of the sitting room is a fully equipped kitchenette, decorated in the same cheerful colours. This floor has one double bedroom with access to a veranda and a twin bedroom en suite with a bathroom with a shower. There is also a second bathroom with a hydro massage bathtub, marble surfaces and all the necessary accessories. Stairs lead to the lower level where there are two twin bedrooms that share a bathroom with a tub. 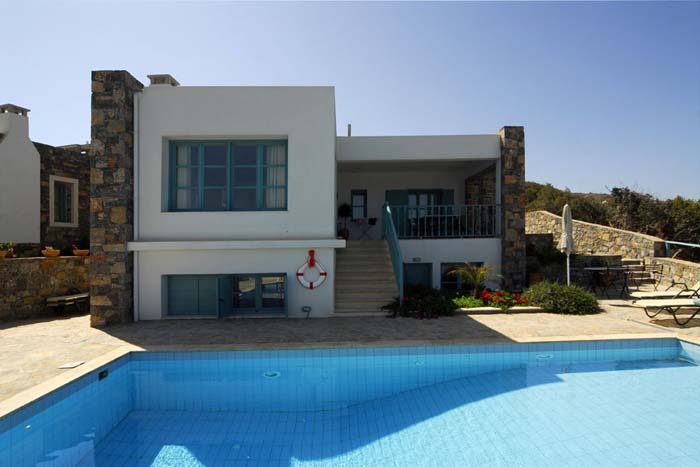 The villa offers a private pool with sun lounges and umbrellas, a parking space, verandas and patios. In the complex there is also a small art room with an exhibition of musical instruments and artworks, a small workroom and a modern recording studio. This room is completely independent of the villa. The art room has is own separate entrance and no view of the villa. It is totally soundproofed in accordance with recording studio specifications. The art room is an interesting feature as an area of artistic creation, with guided tours available for all guests. 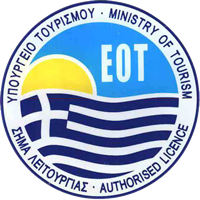 Guests can also ask for more information and discuss matters of history, literature, music and art with family members.